Women of Faith, Learning, Responsibility and Vision. 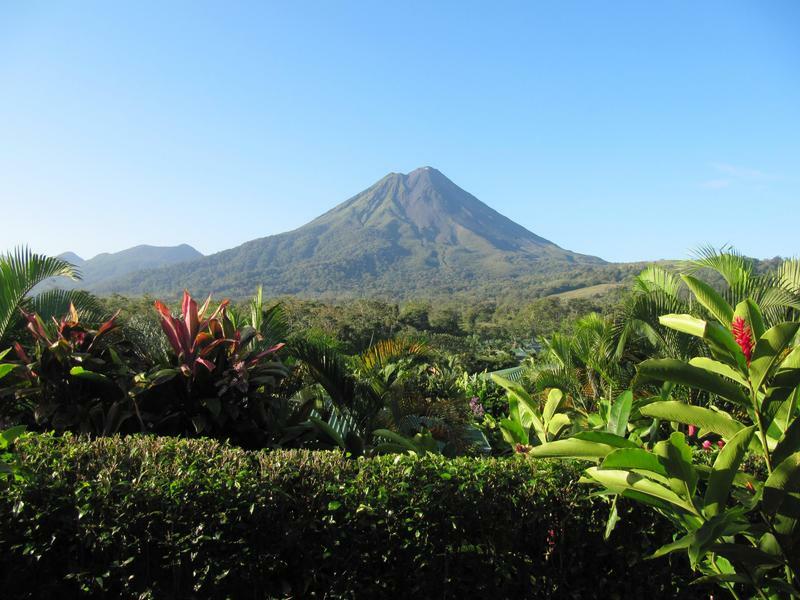 14 BCLHS students will travel through Costa Rica during Easter break led by Vice Principal, Jacqueline Lucero. 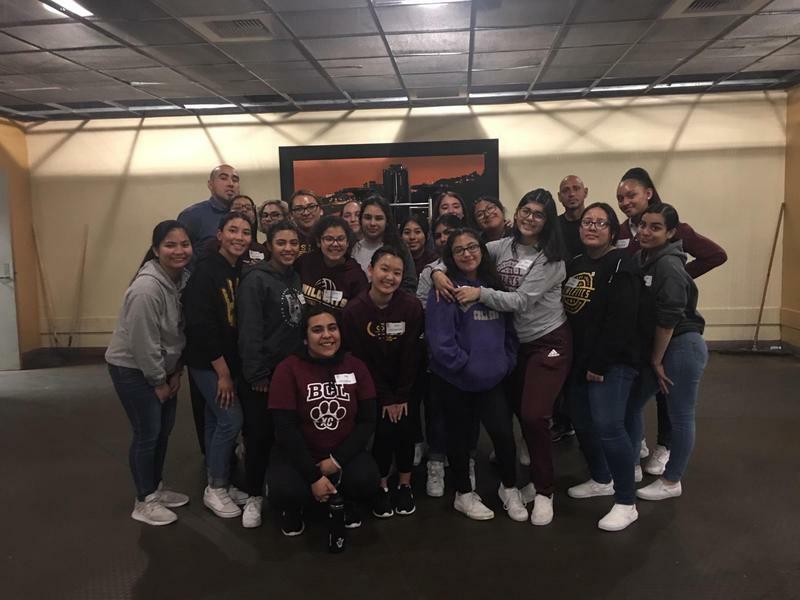 We pray for a wonderful and safe trip for these young ladies as they fly across countries and take road trips making their academic studies come to life. Click here for their full itinerary. 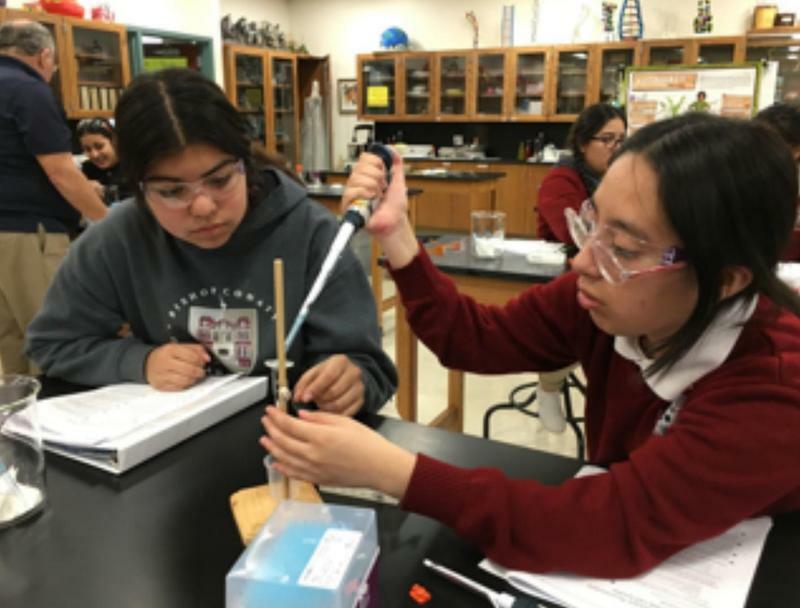 Through a partnership formed with Amgen Biotech Experience, students are once-again receiving hands on molecular biology lessons. Thank you to Dr. Morse for the amazing laboratory lessons and to Amgen for loaning the biotech equipment to conduct our experiments. "You shall love the Lord your God with all your heart, with all your soul, with all your mind, and with all your strength. The second is this: ‘You shall love your neighbor as yourself.’ There is no other commandment greater than these.” – Mark 12:30-31. 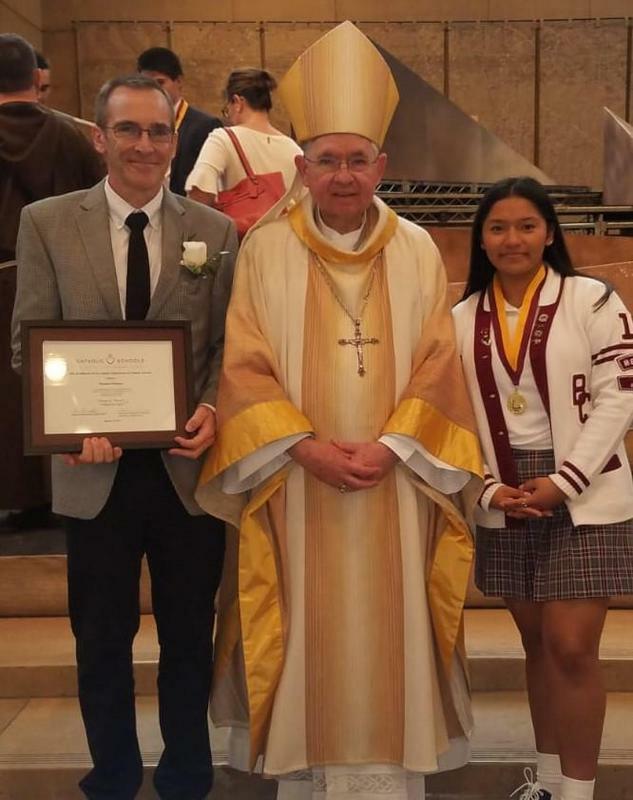 Senior Anisha Verde and Theology Teacher Damian Delaney are both honored at the Archdiocesan Christian Service Award Ceremony. 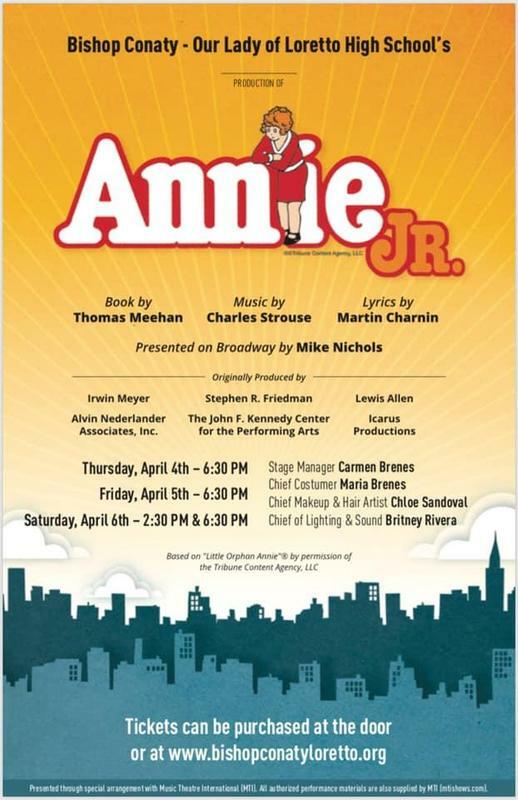 Annie Jr. is a wrap! Thank you to the entire cast and crew for their hard work and brilliant performances. Thank you to the Director, Jessica Fagerstrom for her tireless leadership and outstanding production. Save the Date: April 2, 3 & 4, 2020 - ALICE IN WONDERLAND! 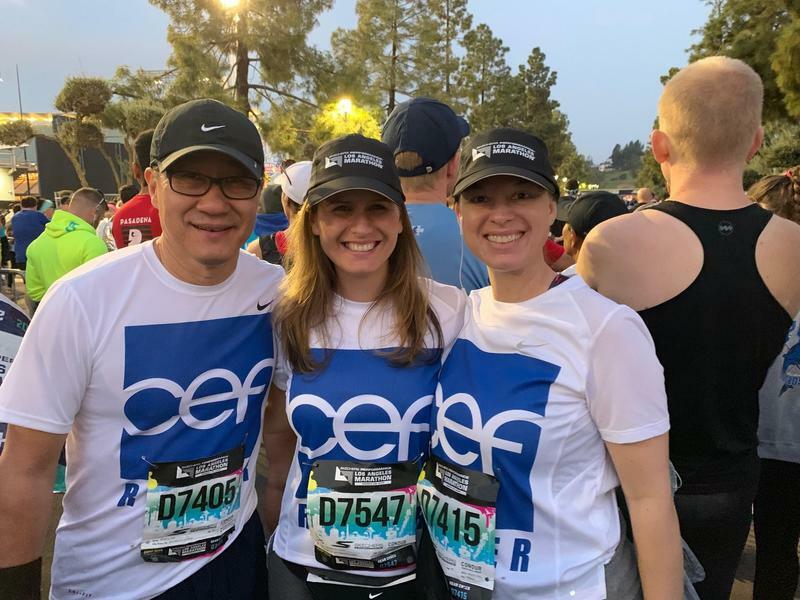 All 15 members of the CEF Racing Team crossed the finish line in the LA Marathon. Congratulations to the team for their endurance and for raising over $60,000 for tuition assistance. 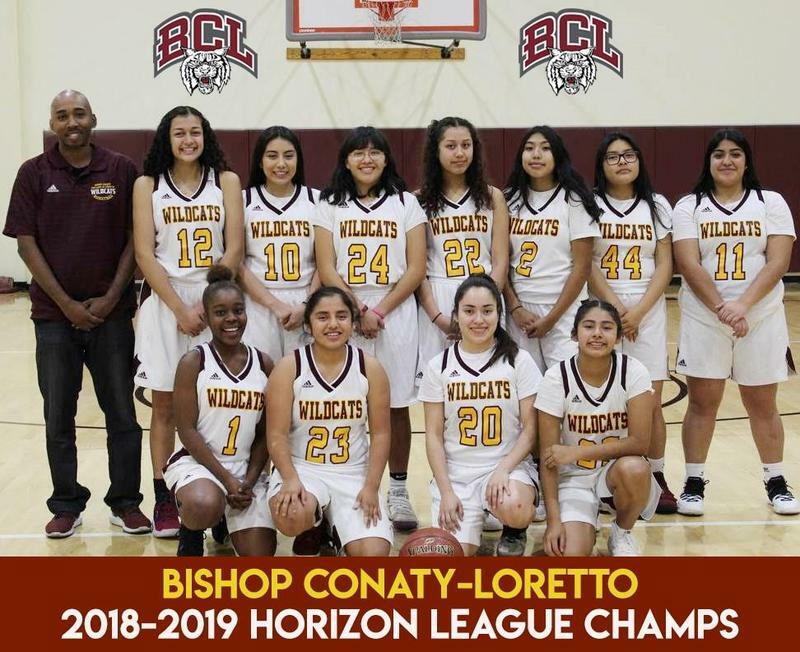 BCL Parent Federico Martinez led the team in with a finish time of 3 hours and 33 minutes. 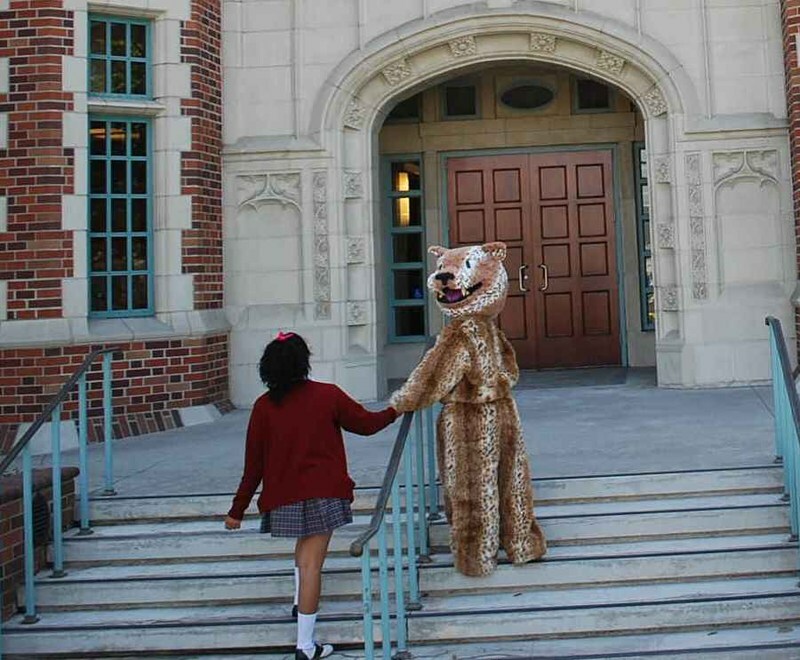 Donations are being accepted through March 30. 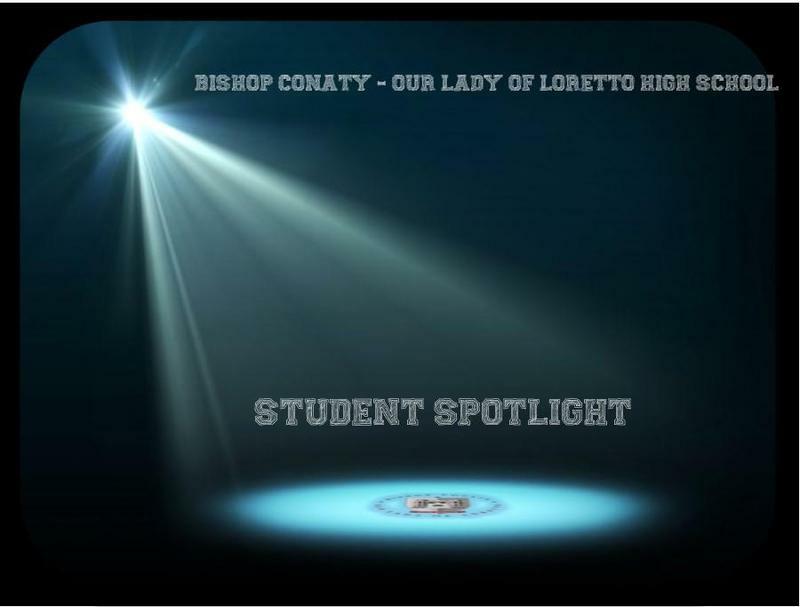 Student Spotlight celebrates current Bishop Conaty - Our Lady of Loretto students by sharing their inspiring personal stories of strength, dedication and academic achievement. Junior Nardos Worku is featured. 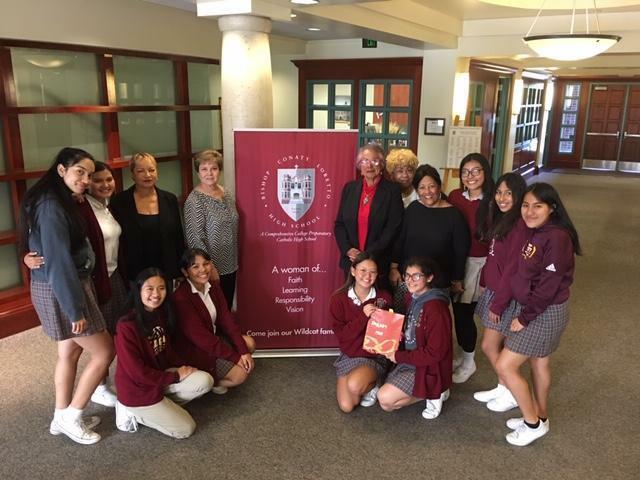 Bishop Conaty - Our Lady of Loretto High School is now enrolling for incoming freshmen and transfer students for the 2019-2020 school year.